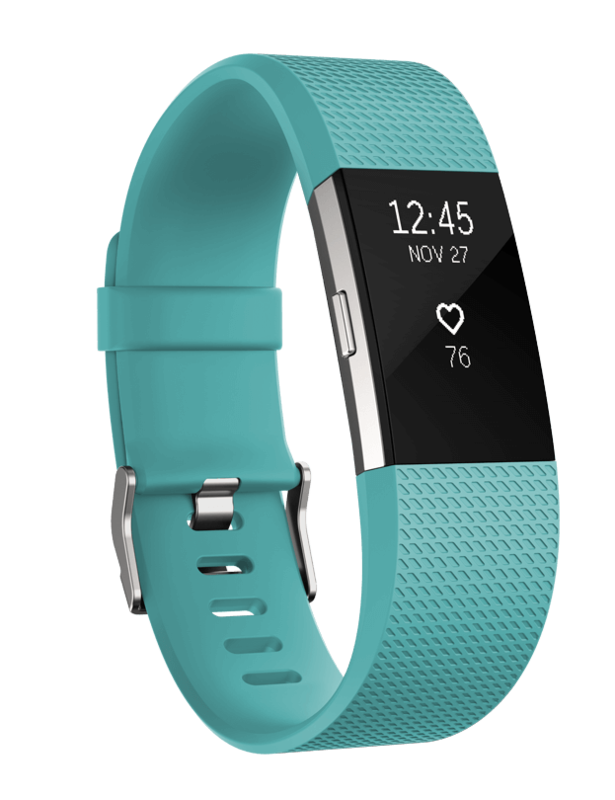 Fitbit has continued the refresh of its fitness tracker range with new iterations of the Flex and Charge HR models. The Flex 2 is a direct replacement for the original Flex and the Charge 2 takes over from the Charge HR. If you were wondering, the Alta took over from the standard Charge. 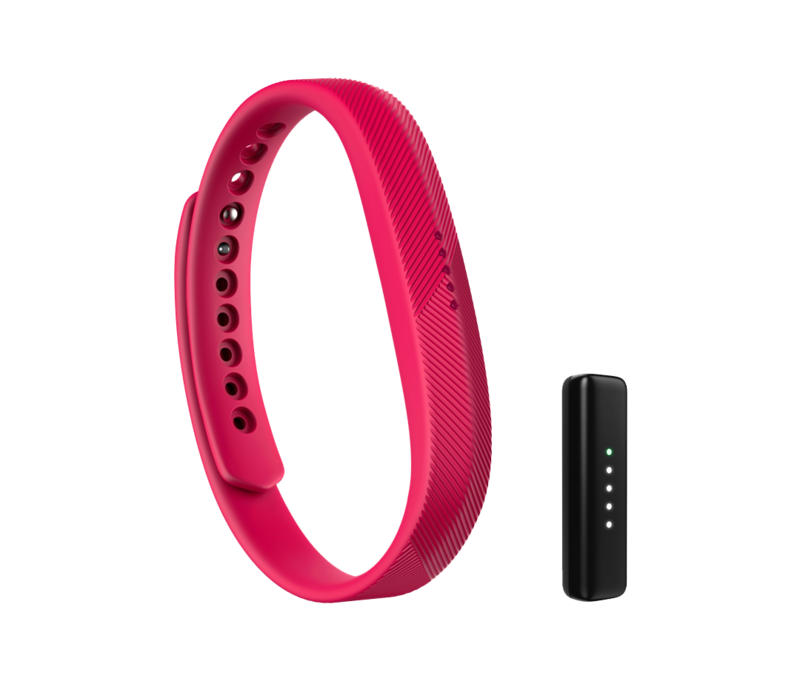 As with the original the Flex, the Flex 2 comprises a small capsule tracker fitted into a range of bands, bangles and pendants to suit the activity. The key point about the Flex range is that its swim-proof, making it the essential tracker for the swimmer. As with the first one, the Flex 2 uses the same LED dots to denote steps taken, albeit in a different orientation. The new tracker auto recognises exercise and notifies on calls or texts coming into your mobile phone. As before, the Flex 2 shows steps taken, calories burned and records sleep. I’m slightly disappointed that the wristband (available in four colours for now) doesn’t have a standard buckle to avoid loss, but it does appear to have been re-designed. Pre-order in the UK for just under GB£80. Expected to ship in October. The new Charge 2 falls into FitBit’s Active Fitness range and takes the fitness tracker to the next level, with multisport tracking, cardio fitness level and guided breathing sessions. Of course it measures paces, steps, calories, steps, sleep and heart rate as the original Charge HR (although the HR moniker has been dropped) and it now has connected GPS, which means that the Charge 2 can use the paired phone’s GPS to track routes. The Charge 2’s screen is customisable and there’s a choice of clock faces. An improvement on the original is that the wristbands can be switched out, with a tasty looking leather band available (at GB£59.99 mind you!) The screen’s bigger as well and can show calendar alerts in addition to calls and texts. If the Charge 2 appeals, it can be pre-ordered for GB£129.99 for delivery in 2-3 weeks. I’m currently testing the Charge HR, courtesy of Fitbit, and I’ll be reporting on my impressions of that soon. 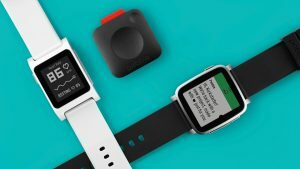 Despite the introduction of Apple Watch and the lineup of Android Wear watches, Pebble remains, somewhat at least, the darling of the market. While not the first smartwatch, it was the first to make an impact on the market. 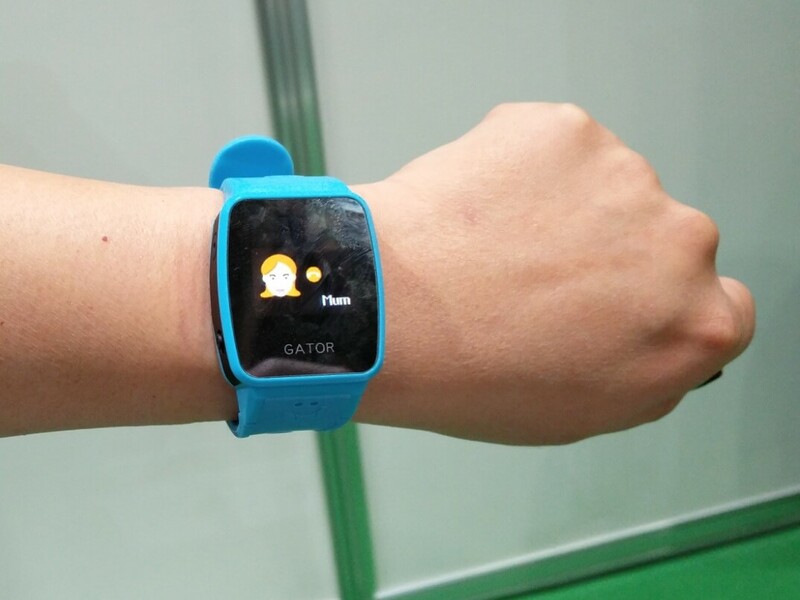 Since the days of its debut, the company has released other models like Pebble Time, which brought a color screen and more features. The watch maker has launched three new models on Kickstarter now. The Pebble 2 is an updated version of the original model, adding a heart rate monitor and activity tracking. It’s selling for $99. The Pebble Time 2 “delivers the ultimate pro smartwatch with a larger, color e-paper screen and heart rate monitoring”. It will be selling for $169. The Pebble Core isn’t a watch, but it promises phone-free fitness tracking along with GPS and music for only $69. “Bringing delightful, affordable wearable technology to the world is the puzzle Pebble lives to solve. Our latest vision for the future is almost complete. We’re back on Kickstarter for the most important piece…You”, the company concludes. You can find all three devices here. Undoubtedly smart watches have their place but few watch aficionados are going to replace their Swiss timepiece with a mass-produced device of limited lifespan. MainTool have a potential answer for those who want both the horology and the smarts. Andrew finds out more from Asier. The MainTool’s concept is simple. 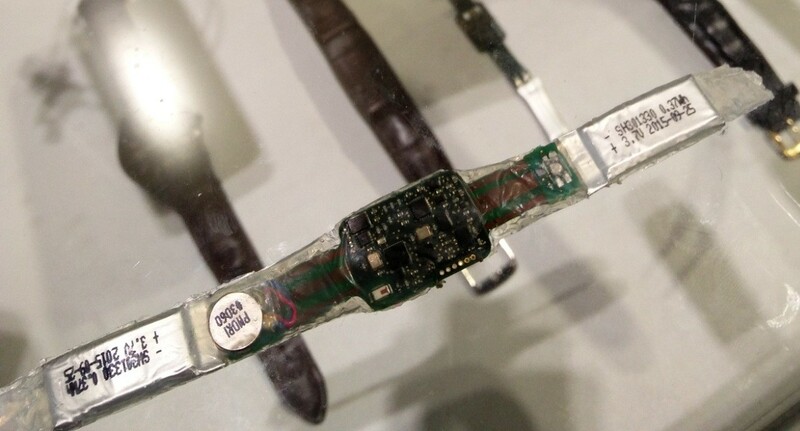 Instead of building the sensors into the watch, put the electronics into the leather strap. Brilliant! 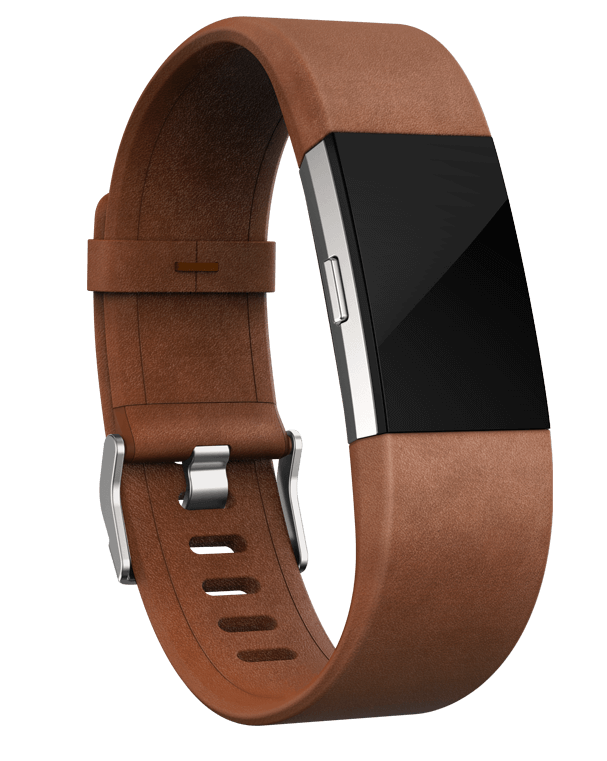 Like many activity trackers, the MainTool smart strap measures steps, heart rate, sleep and temperature. For smartphone owners, the strap provides alarms and call notifications passed from the phone via Bluetooth. Calls can be rejected from the MainTool strap too. As expected, there’s a complementary smartphone app. On the practical side, the MainTool smart strap is waterproof and has around 2-3 weeks of battery life. 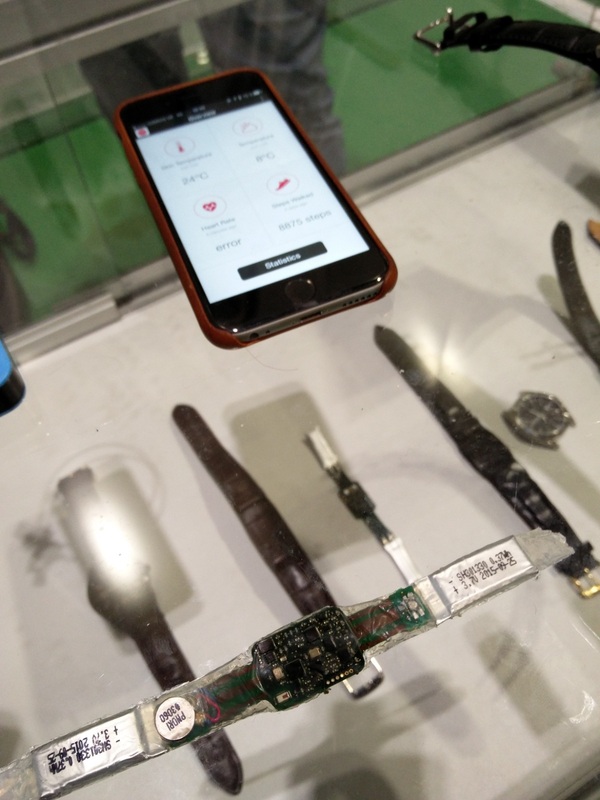 The picture shows the naked electronics before it’s put inside the leather strap. Aimed at the B2B market, expect to see this coming to market within the next few months. 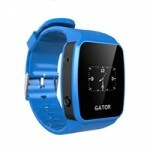 The Gator watch phone and tracker is for kids who need a little independence but are too young for a smartphone. Andrew interviews Colleen from Techsixtyfour to find out the benefits of this Tracy-esque watch. The Gator watch looks like a stylish smart watch with both analogue and digital displays, but it’s also a wearable mobile phone that lets the child call two pre-defined numbers, e.g. mum and dad, whenever needed. The watch can only receive calls from registered numbers so while family and friends can call the child, there’s no danger of strangers or bullies calling. For further peace of mind, parents can track the location of the child on a map. The SIM card inside works with multiple carriers to minimise the risk of being in a dead spot and the Gator can roam through most of the EU. Battery life is around 4 days. The Gator will be shipping next month and can be pre-ordered for GB£89. The RRP will be £99 when on-sale. A mobile contract is needed too, costing £9 per month. To be honest, I’ve been completely underwhelmed by the smartwatches to date but this new Casio WSD-F10 has definitely piqued my interest. In some ways it’s obvious – don’t try to be a smartwatch that looks like an analogue watch. Embrace the digital watch and pump it up to eleven. That’s the way to go. Anyway, enough of my musings, here’s the Casio Smart Outdoor Watch WSD-F10. 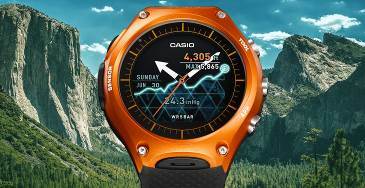 Casio America, Inc has announced that it will release the WSD-F10 Smart Outdoor Watch, a toughened Android Wear wrist device with 50m water resistance. Well-known for the G-Shock range, Casio has continued to develop wrist devices from digital watches to PDAs and phones. The new WSD-F10 is designed for the outdoors, boasting water resistance for use in rain and around water (as an aside, 50m is a kind of a notional depth: it’s not actually waterproof to 50m. If you wanted to dive to 50m, you’d need a watch rated to 200m). Incorporating Casio’s tough performance and sensor technologies, the WSD-F10 delivers a polished experience as a wearable information device. The WSD-F10 offers a wealth of useful original Casio applications for outdoor activities such as trekking, cycling and fishing. Among these are dedicated apps designed to measure changes in the natural environment and track activity levels. The device is powered by Android Wear, and users can also load their own apps to expand the feature set for diverse outdoor activities. 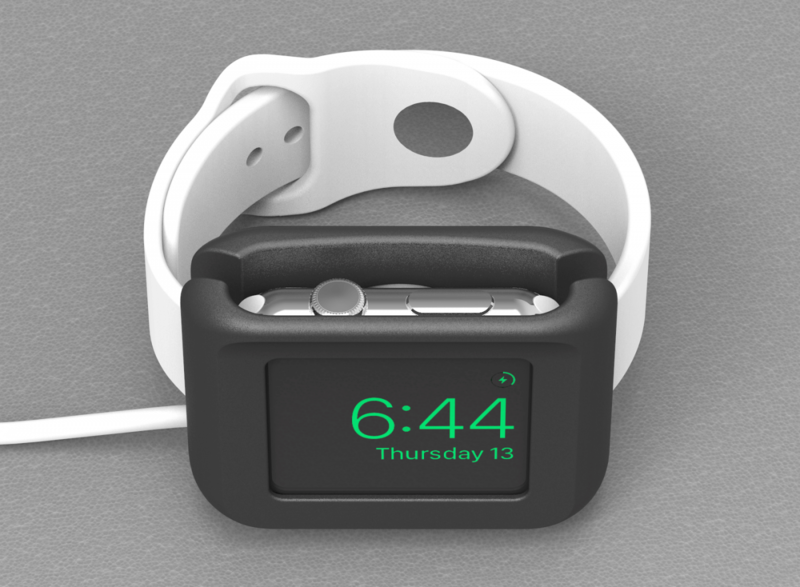 The watch face features a dual layer display with monochrome and color LCDs. Users can display measurement data and apps in colour, or they can extend the device’s life to more than one month by selecting to a Timepiece Mode that displays only watch data in monochrome. That is such a great idea! The WSD-F10 also offers the ultimate in ease of use as an everyday watch, making the most of Casio’s years of experience in the timepiece business. The operating buttons are large and feature a slip-free finish so they can easily be operated with gloves on, and they are concentrated on the right side of the case. 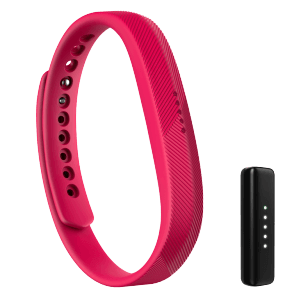 The wristband is made from soft urethane plastic that conforms to the wrist and can be comfortably worn for extended periods. There are four juicy colours in the range. No confirmation as yet on price, but it’s expected to be around US$500 and available in late spring 2016. I want!